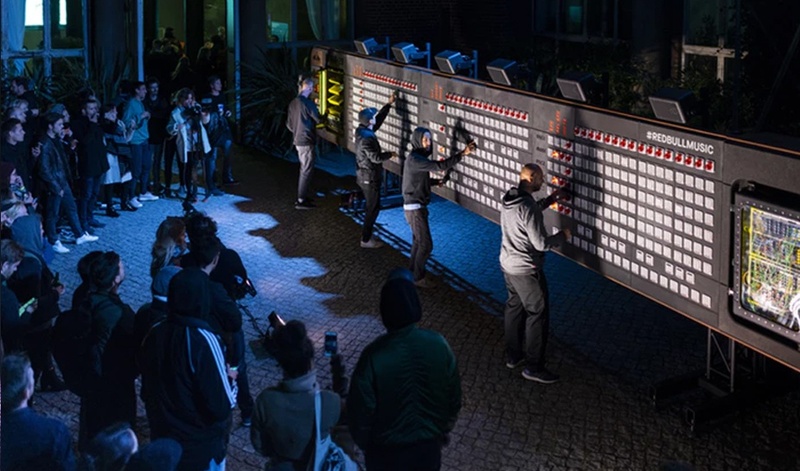 Red Bull Music have unveiled the world’s largest sequencer in Berlin – the capital of electronic music. 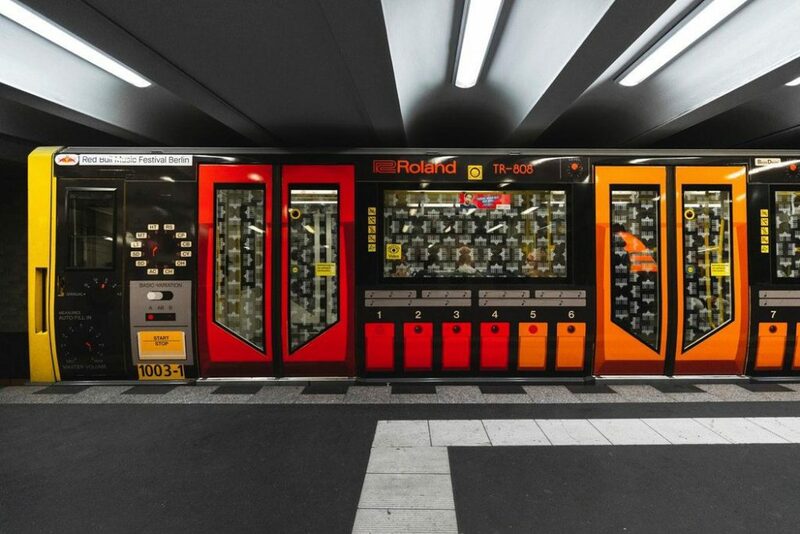 The giant RBMA-20, was installed outside of iconic Berlin club Tresor for the public to play with. The fully functional machine took 30 technicians five weeks to assemble – it’s about 33 feet long, 7.2 feet high, and weighs over 1,300 pounds. The experiential stunt marks 20 years of the Red Bull Music Academy. 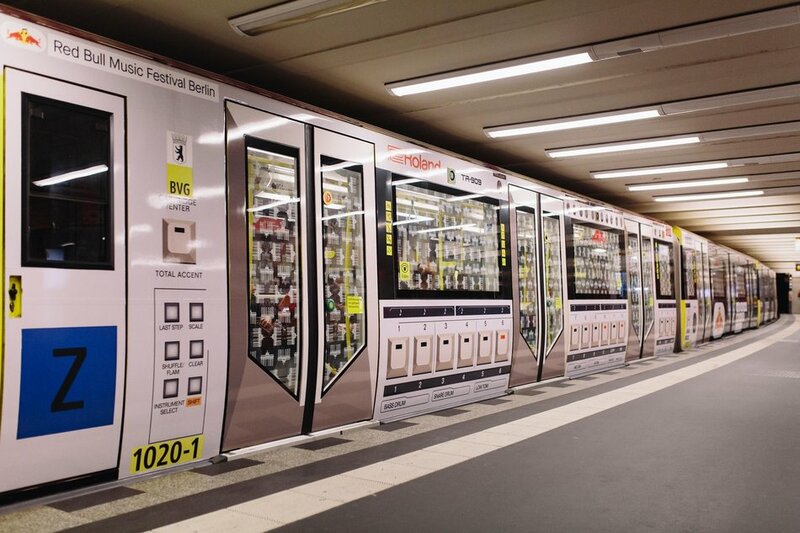 As part of the activation the energy drink brand also reskinned carriages on Berlin’s metro to resemble famous drum machines that have defined electronic music. Techno fans will recognise the Roland TR-808, TR-909 and TB-303 to the Korg MS-20, Native Instruments Maschine and Ableton Push. Red Bull Music Festival Train. Red Bull Music Festival Berlin advertising on the Berlin subway train U2.